Two 1957 letterpresses were found in Zurich and rebuilt for our plant. We installed two letterpresses in order to provide specialty printing for our art and design customers. Our windmill letterpress was made in 1957, and the large cylinder press was born in 1965. The presses were found in Zurich, and rebuilt by Richard Smith of PressWerx in Dallas, Texas. We have completed some spectacular print projects with the letterpress equipment – one of which was a unique invitation package for a special Texas A&M fundraiser. 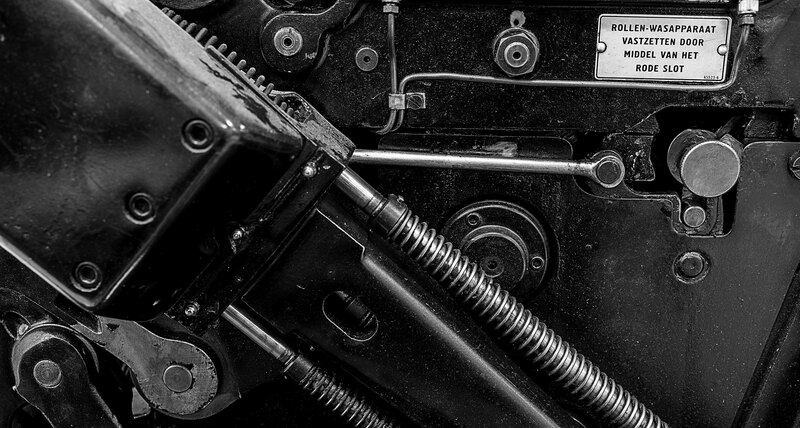 The presses offer expanded creative expression to the art and design communities.